Included is Cobra’s exclusive Rewind-Say-Again digital voice recorder, Plug N Play External GPS receiver capable (using the optional Cobra C.P.S. CM 300-005), 4 softkeys positioned at the bottom of the LCD to allow the user to easily activate and navigate through menus. NOAA Weather Radio, Weather Alert, providing 24 hour access to audio broadcasts and Emergency Alerts to keep boaters safe and informed, IPX8/JIS8 Submersible, Instant channel 16/9, Scan, PA (Public Address) speaker output, External speaker output, Illuminated LCD, Signal strength meter (for radio receiver and external GPS receiver), etc. 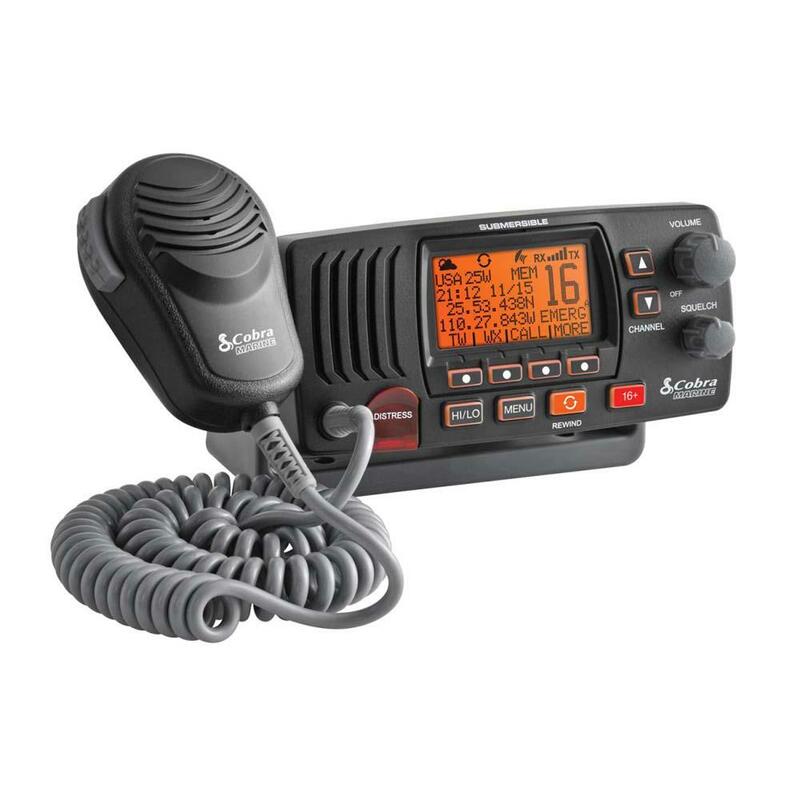 Compliant with the latest FCC specifications for Class-D VHF radios. - Rewind-Say-Again Replay missed VHF calls. Automatically records the last 20 seconds with a digital voice recorder. - PA Output – PA function for public address to external speaker. - All NOAA Weather Channels – Instant access to national All Hazards and weather information, 24 hours a day. 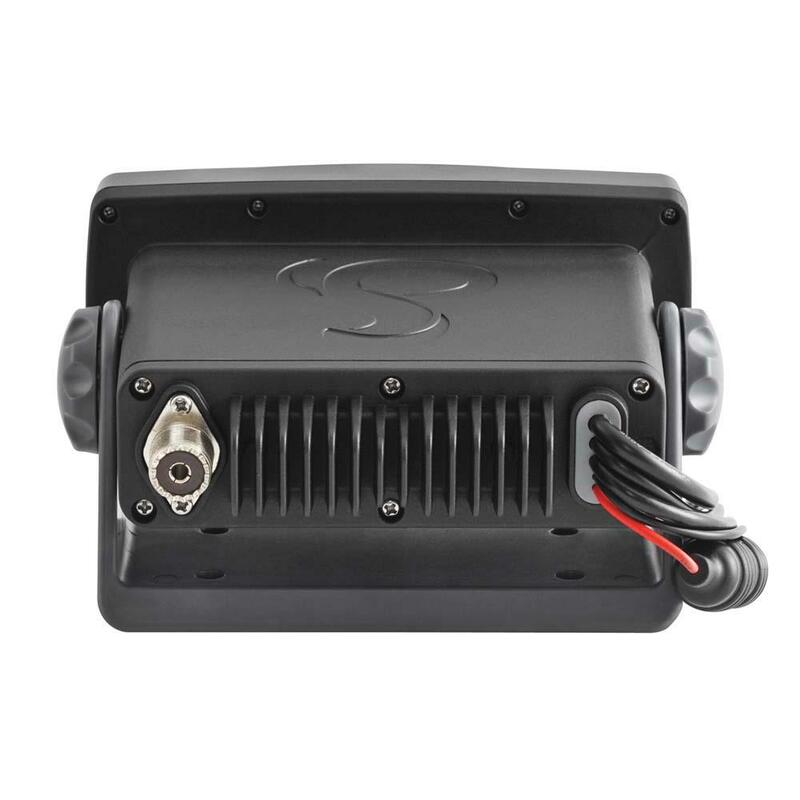 - Radio Check - Checks battery voltage when transmitting, RF power output and antenna output. - Submersible - Designed to IPX8 (JIS8) standards. INCLUDED 2 Dutch canals 31 and 37.